E.L.F. 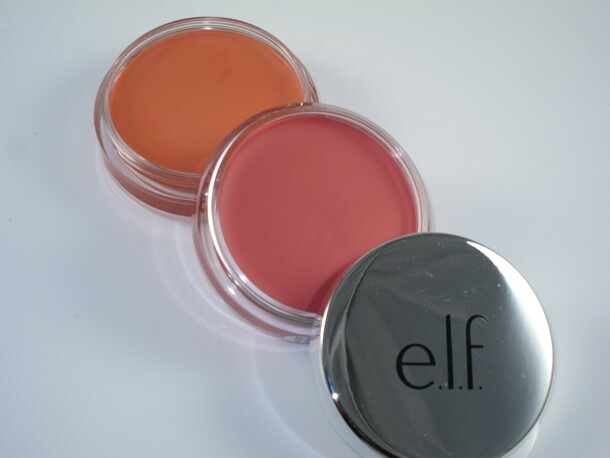 Beautifully Bare Blush ($4) is a new Summer 2015 cream blush that launched with the E.L.F. Beautifully Bare Collection in two shade selections. It’s unclear if these are permanent or limited edition but since E.L.F. rarely introduced limited edition products I’d say it was safe to say these are permanent. I’m sad they only launched in two shade as I quite like the formula so hopefully in the future we’ll see more from this little pot blush! E.L.F. Beautifully Bare Blush isn’t a new product by any means as we have literally dozens of the same style blush that have launched from a variety of brands like Revlon Photoready Cream Blush, Korres Cheek Butter, MAC Casual Colour Lip & Cheek Colour Pots, and if we’re going way back even Jelly Pong Pong Jelly Pong Pong Cheek Puff Fluffy Cheek Stain. What does set E.L.F. Beautifully Bare Blush apart is the ridiculously low price of $4 and the formula of the blush which is unique when compared to other formulas. Beautifully Bare Blush comes housed in lightweight plastic pot that houses 0.35 oz of blush. These store easy, will travel lightly, and last a lifetime as there is a lot of blush in each so I don’t see you running low on the formula too quickly. What sets the formula apart from others like it is the lack of an emollient texture. These aren’t tacky, they aren’t balmy, nor are they necessarily cream. The texture is quite dense in the pot and they feel a bit dry. I had a difficult time picking up color with a brush and was most successful using my fingers to pick up and apply color. Although dry they blend easily onto cheeks and have more of a powdery set. The color is seamless. It’s very smooth, very even, and very natural on cheeks. Although the formula is cream, the finish is that of a powder. Color likely won’t settle into visible pores nor will it cling to drier areas. I love how smooth and seamless the finish is. The pay off is sheer here but it builds nicely. It never looks unnatural no matter how much I apply which I love as I tend to be heavy handed with blush. The wear is around eight hours on my skin which is unheard of as cream blushes tend to fade fast on me. These have quirks no doubt! The formula is dense and drier but they look amazing natural and seamless that I can’t complain! I do worry, given time, they might dry out further in this packaging but hey, I can always replace them on the cheap! You can’t beat a $4 buck blush right? If you don’t mind a slight struggle with the texture these little blushes have a lot to offer in the way of wear and natural color on cheeks! I really like the looks of the peach one. I LOVE elf! Vegan and so affordable! Plus with their 40%-50% sales – I am addicted! I’m excited to try these as well as their new foundation. Thanks for the info and swatches :-). I’m just getting into cream blushes and this sounds like a cream/powder type. Can’t wait! My pleasure Angie 🙂 hope you like them! I just got these two blushes last week. It’s so weird; it’s almost like the peach one is a totally different formula from the rose! I struggled to get the rose to transfer to my cheeks, but I was using a brush so maybe I should try my fingers. So far I’m not in love with either shade, but I want to play with them a bit more before I decide for sure. YES true! The peach is a little less dense Caroline! A LITTLE but it is noticeable when using the Rose! If you warm it up (swirl your finger in it a bit) it spreads easier! The peach shade is so very lovely on you Muse. I think you look very pretty in the rose color! Both shades look great on you. Just wanted to say that I bought these two blushes today. I realize I may be 4+ years too late. But, I am worried that this blush may be discontinued? Both shades were on sale at Wal-Mart for $2 each… I actually bought both of them. I was only seeking one but between not being able to make up my mind, and the price, it was no question to get both. I initially wanted NYX brand actually, but they didn’t carry it. Also it seems to be incredibly hard to find any creme blush. There was one Revelon stick left in my shade but it had clearly been opened and messed with. Normally I wear MAC everything but they discontinued their cream blush a few years ago and it’s been hard to find something suitable. What is the deal? These cream blushes are AWESOME. I was extremely impressed with these ELF products. Recently bought some ELF brushes and ELF primer and was very impressed. Their products are good quality, and outstanding for what they cost.